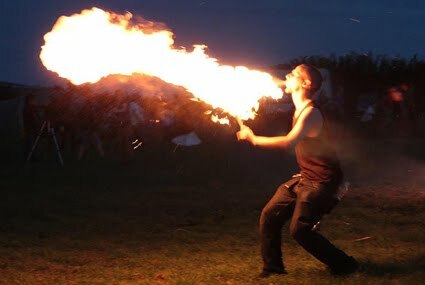 This photo of a fire breather was taken by Joolz Darling at the Mercian Gathering, where she also took the picture of a burning wicker man that I posted on my blog earlier. Both are great images and it looks as though it was an amazing event. The photo is copyright Joolz Darling and is used with permission. Please do not download it or copy it without permission.